The Master Esthetics Program prepares you for employment at skin therapy centers, skin care clinics, medical spas, plastic surgery, cosmetic and dermatological practices. The course consists of 600 clock hours of instruction, with detailed training on state-of-the-art skin care equipment and protocol. Students practice upon each other and, with proficiency, patients in a supervised clinic. The course includes chemical exfoliation, microdermabrasion, lymphatic drainage and advanced make up artistry, among others. Students who successfully complete the Master Esthetics Program will be eligible to test for the Masters licensing (highest) in the Commonwealth of Virginia. Contact admissions for current full and part time formats and for day, night and weekend schedules. Proof of a high school diploma or GED must be provided. Completion of, or test-out of, the Esthetics Program is required for the Masters Program. 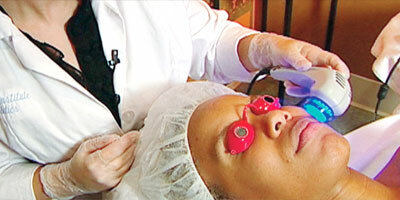 Considerations also include out-of-state licenses and work experiences that qualify in Virginia for esthetics licensing. Each applicant will be considered on a case by case basis. Classes fill early so don’t delay. Please call for tuition and fee information. What is a Master Esthetician? What is a Master Esthetician according to the Code of Virginia?